It finally happened again. 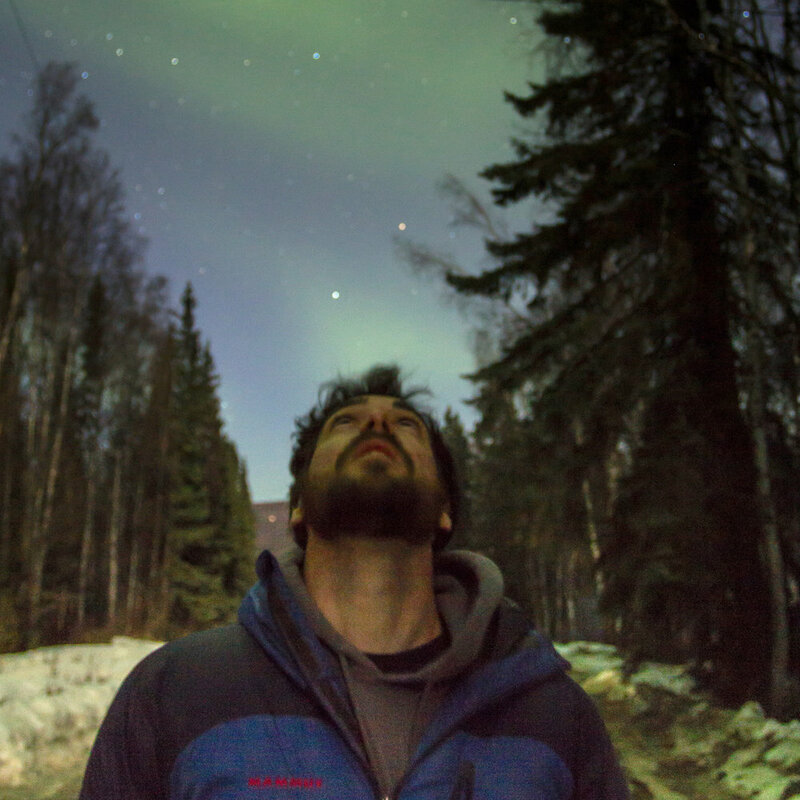 Another winter in Fairbanks has come to pass, which means another aurora season is wrapping up. Last week, a pulse of warm air from the south took a toll on the snow pack here in Interior Alaska. Many of the roads are now ice free, and brown patches of bare dirt are gradually becoming exposed. The break up is upon us. The added solar input from increasingly longer days will soon transform this winter landscape into a sea of fresh green buds. With the arrival of green leaves comes the departure of green clouds, when the midnight sun once again overtakes the aurora in the "night" sky. 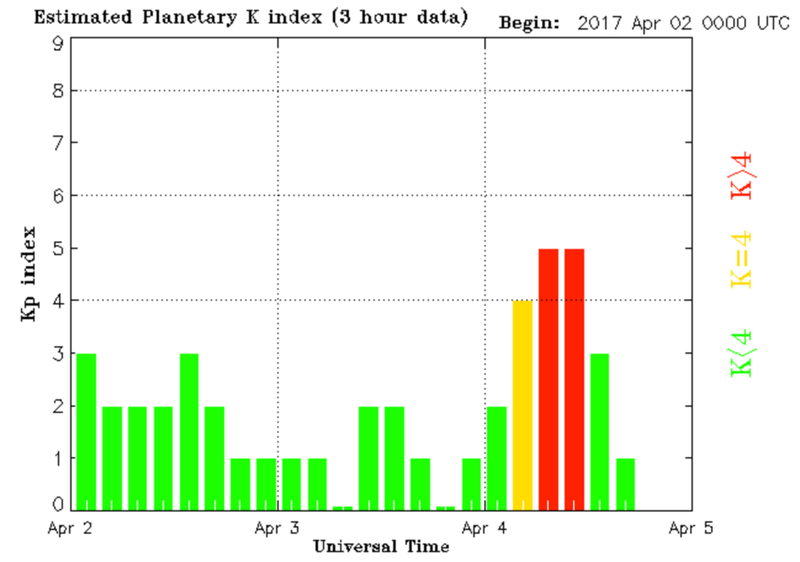 A lull in auroral activity was suddenly broken yesterday evening by a brief geomagnetic storm (see data below), sparking potentially one of the last displays of northern lights we will see up here until darkness returns again in late August.